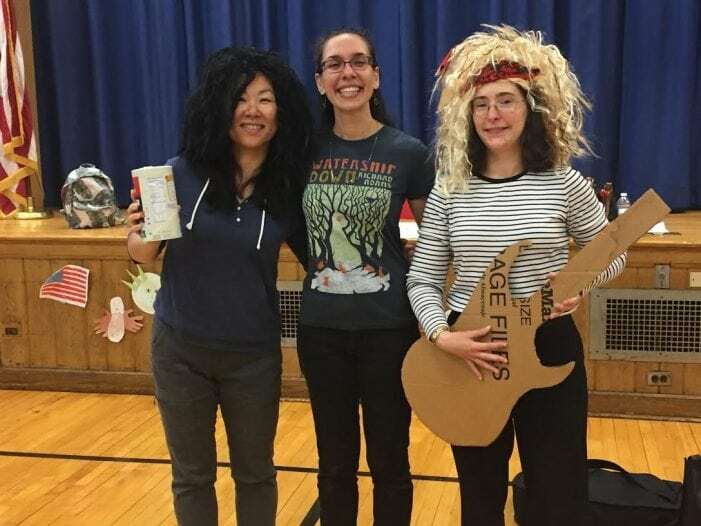 Burnet Hill Rock On: Library Assistant Joe O’Brien, Teen Librarian Karen deWilde, Youth Librarian Gina Vaccaro. The Livingston Public Library Youth Department has announced its 2018 Summer Reading Challenge: Libraries Rock! The program runs through August 19. This year, children track the time they read and complete reading challenges to reach levels of prizes; the more one reads, the more one earns! 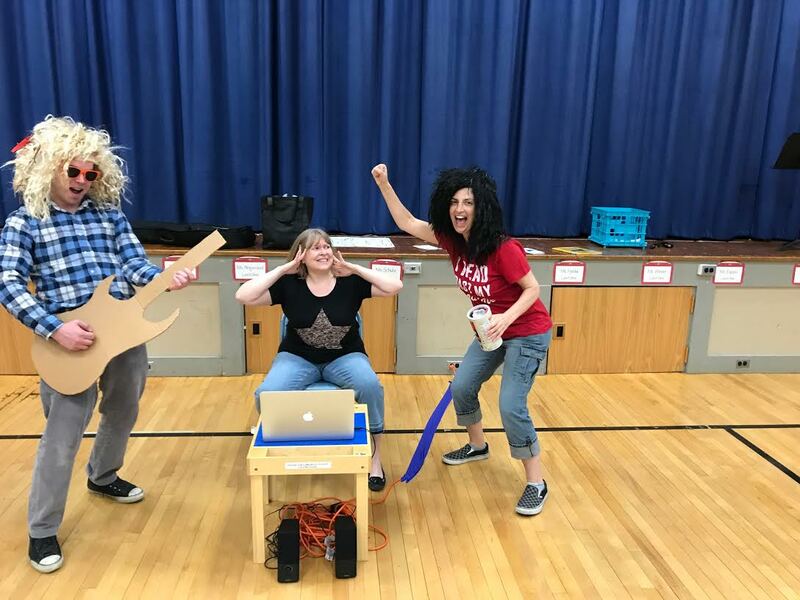 Some new programs this summer include an Art Camp taught by Livingston Art Teacher Christine Wittlinger, a Lego Camp, a Coder Camp and Lunch & a Movie. Book Buddies, Story Times, Family Nights, Paws to Read, Chess Tournament and a Mini Therapy Horse return. Read two hours for each level, four levels equal eight hours total. Complete challenges for all four levels. Log reading time and challenges either on this paper log sheet or online at livingstonpubliclibrary.beanstack.org. Earn prizes every time a level is completed. Saturday, 10 a.m.-4:30 p.m.; and Sunday, 1 p.m.-4:30 p.m.